My feelings for the NBA are not well-hidden around here. In general, the Association has screwed up a ton the last ten years, and I don't watch nearly as much basketball as I used to. A big part of the problem is that the NBA just can't produce enough compelling playoff basketball to keep me interested. This year? Well, it's been a notable exception. Derrick Rose went off in Game One. Ray Allen in Game Two. The Celtics then owned Game Three. Ben Gordon ruled Game Four. Then, with Ray Allen fouled out and Kevin Garnett still broken, the Celtics' other "big star" and its youngest, brightest star took over Tuesday night. Paul Pierce hit the huge shots. Rajon Rondo set them up. It was a magnificent display of up-and-down excitement that basketball needs more of. Quite fitting, actually, that it would come one night after that 121-63 disgrace. The irony of that? Well, the Celtics are the number-two seed and Chicago seventh in the East. Denver and New Orleans are - respectively - the exact same seeds in the West. Denver might not be 58 points better than New Orleans ever, ever again, but the Celtics and Bulls could play 100 times and not have a margin of victory bigger than 25. For all the talk about how the Western Conference is superior, it's incredibly top-heavy, and I'm not so sure it's superior. Outside of Denver, Utah, and the top-seeded Lakers, I'm not sure I'd take any Western team to beat their Eastern counterpart in a best-of-seven series. I'd certainly think twice about locking on teams like Houston and San Antonio against teams like Miami and Philadelphia. As for Chicago and Boston, it's been everything you could ask for in an NBA playoff series. Except boring, which too many series around the league have been in recent years. Also, big ups to Dallas, who won twice in San Antonio, broke a three-year road playoff drought, and took out the undermanned Spurs in five games. While this isn't immediately good news for Bemidji State, the Western Collegiate Hockey Association has taken a step forward toward admitting the Beavers. The following release was just issued by the league. The membership of the Western Collegiate Hockey Association’s men’s league, acting at it’s annual meeting today (April 28, 2009), has opted to pursue expansion of the league membership from it’s current 10-member team to a future membership of 12 teams. The timetable for expansion consists of lifting the current moratorium as of today and continuing indefinitely. The lifting of the moratorium on expansion means the WCHA can entertain membership applications from any interested institutions who meet the league’s criteria for membership. Meeting the criteria for membership does not, however, guarantee admittance into the Association. “The Western Collegiate Hockey Association membership today took a positive step forward in their decision to embrace possible expansion,” said WCHA Commissioner Bruce M. McLeod, “and we will continue to explore we may expand once we have completed further studies and once we have been able to identify potential members that fit the league’s criteria for membership. Obviously, there are numerous issues involved in expansion, just a few of which include the transformation from a 10-team, 28-game conference schedule to an expanded 12-member team format that would still enable us to protect our natural rivalries as best as possible, and to make certain we safeguard our successful flagship event – the WCHA Final Five. The 10 teams that currently make up the men’s WCHA are University of Alaska Anchorage (UAA), Colorado College (CC), University of Denver (DU), Michigan Technological University (MTU), University of Minnesota (UM), University of Minnesota Duluth (UMD), Minnesota State University, Mankato (MSU), University of North Dakota (UND), St. Cloud State University (SCSU) and University of Wisconsin (UW). The last expansion in the WCHA occured in 1999-2000 when Minnesota State University, Mankato joined the conference as it’s 10th team. The Commissioner’s office, in conjunction with the league’s structure committee, will head up the expansion effort with the goal of identifying potential member teams as soon as possible. The earliest the WCHA would be able to integrate new teams into the men’s league would be for the 2011-2012 season based on current contractual obligations. Bemidji State University’s application for league membership will remain under active consideration. Bemidji State is an original member of the WCHA’s women’s league, which was founded in 1999-2000 and this past season celebrated it’s 10th anniversary. This tells me the league wants to go to 12 teams or stay at ten. At this point, expansion to 11 teams doesn't appear to be in the cards. Check with FanHouse.com for more information, as we'll have a chance to hear from WCHA Commissioner Bruce McLeod later Tuesday. Not nearly enough time is spent in this house watching Stephen Colbert and Jon Stewart blow apart the "news". The Comedy Central veterans each host a half-hour show on weeknights, and the idea (in part) is to pretty much make all the other news outlets look stupid. With the swine flu OMG WE'RE ALL GOING TO DIE epidemic in the news, both of them had a field day. We'll start with Colbert. I'm not here to trivialize sickness or death, but as the Stewart clip points out, we're going a little bit too far here. Yes, educating the public is important, but non-stop coverage of this thing is not. We were also supposed to get ourselves or a bunch of animals wiped out by SARS, chronic wasting disease, mad cow disease, and bird flu. By all means, cancel your trip to Mexico. Go somewhere else for vacation. If you come back, go ahead and lock yourself in the house for a month so you don't give swine flu to anyone but the mailman. Just leave me out of it, okay. It ain't bragging if it's true. I'll be the first to admit that I'm impressed by the athleticism of Vikings first-round pick Percy Harvin. At some point, personal demons have to be set aside, and you just marvel at what this kid can do with a football in his hands. The Vikings took Harvin with the 22nd overall pick, and while many in the "experts" field were quick to scoff at the selection because of Harvin's myriad of off-field issues, the Vikings were quick to come to his defense. Head coach Brad "Mr. Happy" Childress flew down to Gainesville himself to interview Harvin. Obviously, he enjoyed himself, as the Vikings appeared locked onto Harvin for quite some time before the draft. Monday, Childress was interviewed for Grampa Sid's column, and he apparently thinks he outsmarted the outsmartable. Yes, folks, Childress is indeed expecting you to believe that the Patriots, extra picks and all, decided to stay put at 23 and hope Harvin fell past the Vikings, who had made no secret of their interest. I totally can see this happening. I'm sure the Patriots employ this strategy all the time when they find guys they really like and want to be able to draft. That's why they've been so successful over the years. They find what they want, and then go after something else. Bottom line: Childress is full of it, and of himself. There's virtually no chance this played out like he described. If nothing else, he's totally overstating any interest the Patriots may have had. Congratulate Sid, too, for buying - hook, line, and sinker - the preposterous story Childress spun him. I'm also thrilled that Childress is bragging about talking a kid into going back on his word to a fellow NFL coach. That's beautiful. I know there is a segment of the population that watches NASCAR to see the cool car crashes. I don't like it, but I know they're out there. I guess everyone has their own tastes and such. Big wrecks can sure make things interesting, but they can also cross a line when cars are flying and such. In this case, it's time for NASCAR to take some culpability. After all, the perception - when you've had two similar finishes to the last two Talladega races (trust me, they're similar) - is that NASCAR is going to have a dead driver and/or a dead fan on their hands pretty soon. Let's first look at the videos. Three big wrecks in one unbelieveable afternoon. The first one came before most fans had even bothered to crack open their first beverage. The second big wreck came late in the race, a more typical time for a huge wreck at Talladega. Finally, there's the frightening and exhilarating finish. Thankfully, Carl Edwards is okay. Thankfully, the injured fans should be okay. Now, for what to do. NASCAR has some options, some of which will help the problem, and some not so much. For starters, they could change the restrictor plate and slow the cars down. This wouldn't change the packed-up nature of these races, only the speed at which the "Big One" happens. One thing that would probably go away is any measurable chance of a race car going flying like Edwards did Sunday. Drivers would hate it, because it would lead to more of this three- and four-wide high-stress racing, but fans would still be mildly entertained by the close races. Another option is removing the restrictor plate. This would allow for more wide-open racing and fewer big wrecks. The problem is that the cars would be going much faster, meaning the big wrecks would be even bigger. And, yes, there would be the possiblity of flying race cars. Probably not a good idea. NASCAR could also lower the banking at the superspeedways. It's a high-cost option that would definitely lead to improved safety. They could also keep the status quo. The idea behind doing this was that it took a perfect storm of circumstance for Edwards to take flight. The argument against it is that Regan Smith could have easily done the same thing to Tony Stewart last fall. Instead, he went below the yellow line and improved his position, which is against the rules in the plate races. So is the yellow line an answer? Well, part of the reason NASCAR went to that rule was safety, so I doubt they'll rule that removing the rule now is a good safety measure. A kneejerk reaction is not the right way to go about things, but fans and drivers are going to want a ruling made by the time NASCAR hits Daytona in early July. Short-term, I'm not sure there is a good answer. Long-term, I'd like to see them explore the banking issue. Taking down those high banks does no harm to the racing, and it would be an improvement for driver and fan safety. No matter what, it's quite a conundrum for motorsports' biggest governing body. It's amazing how self-absorbed Montreal fans are. After running Stanley Cup-winning Patrick Roy out of town over a decade ago, then watching him win more Cups with the Avalanche while Montreal spent year after year either struggling to make the playoffs or stinking up the joint, they're poised to do it again. During Wednesday's 4-1 Boston win that finished the Habs' overhyped 100th season, the fans decided to take out their frustrations on goalie Carey Price. Because, yes, it's the fault of a 21-year-old kid that the team had to fight through numerous injuries to key players. It's totally on Price that the Habs couldn't score and gave up way too many odd-man rushes. Anyway, Price endeared himself to the population of hockey fans who are actually blessed with brains and common sense, because he wasn't just going to take the crap heaped upon him by the Habs "fans". Congratulations, young man. Even if you get traded, you can hold your head up high and know you're probably better off. Most NHL teams' home fans avoid heckling the home goalie. They might boo the goalie on a bad night, but they won't heckle him. I'm sure the hundreds of thousands of lemmings supporters the Montreal Canadiens have don't really care much for the opinion of some dirty American, but I've never been one to care about the opinions of idiots. I'd really like to root for Montreal in their first-round series against Boston. I'm not anti-American at all, but I do think it would be really cool to see a Canadian team achieve real success in the Stanley Cup Playoffs. Not only that, but Jack Edwards irritates me, and hearing him call more and more big Boston wins is only going to drive me to the asylum. Thank goodness the national coverage takes over for the next round. That said, it's impossible for me to root for a franchise that continues to allow its fans to disrespect their more-than-civil neighbors (or, is it "neighbours"?) to the south. As chronicled by James Mirtle, the Canadiens fans again booed the Star-Spangled Anthem Monday night before their team got worked by Boston for a third straight game. LOGE19.com probably has the most outspoken take on the matter. Let me see if I can get this straight, Canadiens’ fans. You are getting mauled by the Bruins in this series, so in order to show support for your team you boo the American National Anthem? ... Furthermore, you chant, "Go Habs Go" as the American National Anthem is being sung? Really? You’re that classless and lost you resort to that? In my opinion that is absolutely pathetic. Not to mention this is not the first time this incident has taken place, you even had a public service announcement to curb it! Talk trash about the Bruins or any opposing team all you want, but to disrespect the Anthem is plain ridiculous. As I said before, I was never into the Bruins/Habs rivalry because I’m from Chicago, but actions like that are why you’re hated. The funny thing is that many defenders of this practice said it was all about former President George W. Bush. While I'm not about to defend the booing of the national anthem because you don't like the President (this, by the way, is coming from someone who decisively didn't like the former President), this excuse doesn't work now. Frankly, I'm sick and tired of it. The culture up there is different than here, no question, because American fans have to resort to immature retaliation before they can boo the Canadian national anthem. My wife is irritated when the fans cheer over the anthem in Chicago. I disagree, and I still get the chills when I hear this rendition from the 1991 All-Star Game. I'd much rather hear all these thousands of people sing the song, but I'll take cheering over booing and catcalls any day. Quite the bizarro story out of baseball, which is prone to the occasional bizarro story. The Washington Nationals are terrible. As of this writing, they sit at 2-11, and not much is going right. Center fielder Elijah Dukes even managed to take a benching Saturday. Seems he showed up late for the team's game against Florida. His excuse was that he was speaking to a group of Little League players. Since the appearance wasn't "sponsored" by the Nationals, the team fined Dukes $500. However, Dukes won't be paying that fine (via ESPN). The Great Falls Little League, where he was speaking prior to the game, says it will pay it for him after a fundraising effort, according to the Washington Post. "The point is, this guy gave back to our community, and now he's in a hard spot. We need to help him," said Jim Mraz, the Great Falls LL president, according to the Post. "It's not a question of whether this guy can afford the 500 bucks. We're just trying to send a message to our kids: He was here for us. Now we've got to be there for him." This isn't about the Nationals being heartless. In fact, they have a perfectly good argument for issuing the fine. "I think it's great [the Little League folks] feel that way," (Nationals manager Manny) Acta said yesterday. "We let Elijah know how proud we were of what he was doing, because we encourage our players to be fan-friendly in this community. But what a lot of people are misunderstanding is, this was not a team function. If this had been [set up] through the team, I think someone would have advised him not to do something like that before a day game." The right thing would be for the Nationals to tell the Little League to keep their money. Of course, the team and Dukes could find a way to do something nice for this group at some point this season. After all, it's not like they're filling their stadium with raucous crowds. With all due respect to our wonderful local event, they don't get much bigger than the Boston Marathon. Every April, the city comes to a standstill for this great race, which has been run over 100 times. It's been over 20 years since an American woman won this event, and the track record (no pun intended) of success for Americans is simply not very good. Enter Duluth's own Kara Goucher. The former Duluth East Greyhound ran in the Olympics last year in the middle distances, then began the transition to marathons. I'd say that transition has gone quite well. Goucher has run two competitive marathons, and she's finished in the top three of both of them. Despite leading for a time Monday in Boston, she had to "settle" for a third-place finish. Goucher's voice cracked repeatedly in the postrace news conference. "I just wanted it for everybody that wanted it for me," she said. "I'm proud of how I did. I just wanted to be the one that won for everybody." An emotional Goucher does have a good understanding of the significance involved with having Americans in the top three of both the men's and women's races. "People were so proud to see an American up front, and there was a lot of 'U.S.A.!' cheering," Goucher said. "Two Americans in the top three is fantastic. I think once things settle in a bit, it'll be a really great day. We'll be really proud of this." No need to apologize for this accomplishment. It was a great day for Goucher, and the area she grew up in couldn't be more proud of her. By now, you're probably well aware of the story surrounding last week's death of Angels' pitcher Nick Adenhart, along with two other innocent, young people. The reality is that an incident like this one affects many, many lives. Three people lost theirs forever, but they all leave behind families and friends who will be forever impacted by what happened. Two men in the vehicles struck survived, and must live with the harrowing events. Amy Nelson of ESPN.com has an outstanding piece (kinda long and very sad, mind you) that breaks down the events of the evening. It's amazing to think about how small a chance it truly was that Andrew Gallo would meet up with that particular car at that particular intersection. It's a little after midnight when Nick, Jon and Henry pile into Courtney's car, a silver Mitsubishi Eclipse, and set out for In Cahoots. At about 12:20 a.m., Courtney, with Nick sitting beside her in front, Jon behind her in back and Henry behind Nick, approach the intersection of Orangethorpe Avenue, heading northbound. Courtney is on Lemon Street, in the right-hand lane, seeing a green light all the way. She's less than a block away from the bar, or as Lt. Kevin Hamilton of the Fullerton PD said, "a tee shot away." Another driver, Estevan Quiroz, is on Lemon Street heading in the opposite direction, facing Courtney, and inching out into the intersection, preparing to turn left onto Orangethorpe. In the corner of his left eye, Quiroz catches a red blur, which in Quiroz's estimation a vehicle is traveling at about 90 mph. He wisely stops because, as he sees the blur, he can tell it has no intention of stopping. Andrew Gallo, driving recklessly, not knowing why he's almost 20 miles south of where his night started in Covina, slams full speed into the passenger side of the Mitsubishi, where Nick Adenhart and Henry Pearson are sitting, according to police. Andrew doesn't even tap his brakes, T-boning the Mitsubishi, the force of the crash spinning the sports car across the intersection and killing Courtney and Henry instantly. "A half-second before or after," Hamilton says, "and there's no impact. That's like taking one more brush of your hair." As I mentioned, it's a very sad story, but one I'm glad Nelson was able to tell. I'm pretty sure I don't have to mention the lessons one can learn from this story. Please give it a read. KOBE, LEBRON, AND THE REST? Well, that's what the mainstream media would have you believe, at least. Especially since this week's revelation that Kevin Garnett could miss the rest of the playoffs with a bad knee. I mean, you'd think the 14 other teams in the NBA Playoffs had no business being there. I don't pretend to be a basketball expert, but "Kobe, LeBron, and the guys who don't play very good" doesn't seem like a smart marketing strategery for a four-round tournament that lasts around two months. With all that in mind, here's a quick look at the games being played on hardwood this weekend. Why so quick? Because I don't try to act like a huge fan of the sport. Check the links on the right if you want more in-depth stuff. Atlanta vs Miami. It's the 4-5 pairing, but features a legitimate MVP candidate capable of carrying his team at any given time. Dwyane Wade has had a fantastic season, but does he have enough magic left in him? As for Atlanta, the Hawks have actually built on last year's seven-game tilt with the Celtics in the first round. Proving it wasn't a fluke, Atlanta energized their fan base and earned home court for this series. Guys like Joe Johnson, Josh Smith, and Al Horford give the Hawks a great chance to advance. They're much deeper across the front line and the bench than Miami is. Wade took more than 300 more shots than Johnson - who led the Hawks with over 1,400 shot attempts - did. His 30-point average includes a number of huge performances, and he's the key player in the series. Atlanta should win this series, but I'd be stunned if it didn't go seven. If this ends up being a five- or six-game series, Miami wins it. Orlando vs Philadelphia. Where is the intrigue? The Magic are a very good team, and should be able to challenge Boston for a shot at Cleveland in the conference final. Dwight Howard, Rashard Lewis, and Jameer Nelson are too good for the Sixers to slow down. About the only thing Philadelphia has going for them is that no one thinks they can win. While that "no one gives us a chance" mentality is all over sports and is often a good thing, it doesn't help when you're just not as good as your opponent. Phillly might win one or two games, but this isn't a good enough team to seriously threaten the Magic. Boston vs Chicago. No Garnett means the Bulls might have a shot. It would still take a perfect storm for them to win. Not much has changed from Chicago's last playoff berth. Ben Gordon makes the team go, and there's no one else who can carry them. Cleveland vs Detroit. Step one to James' coronation. The Pistons offer little to no resistance. Denver vs New Orleans. You may think the Hornets have to "ugly it up" against the fast-paced Nuggets to win. However, I think there's some serious drama in this series. The Hornets have the best player among the two teams in Chris Paul. Despite this, Denver has all the pressure in the world on it. After all, they managed to win a tough division, and they have home court for this series. Sure, Paul and the Hornets want to win, but Denver has to. You can't measure that kind of pressure, and you don't get that kind of pressure when you're the seventh seed. New Orleans has a real chance to win this thing in six or seven games, though the Nuggets could win this thing quickly with their, um, fast pace. George Karl has to keep this team playing warp speed to overwhelm the somewhat-undermanned Hornets. If he can do that, and they shoot well, Denver not only can win this series, but they could go far. LA Lakers vs Utah. I don't even have anything productive to say about this. It's not going to be pretty. Remember how competitive Utah was in the conference semifinals a year ago? Well, hold on to those memories, Laker haters. No chance. San Antonio vs Dallas. The Mavericks have lost their last nine road playoff games. That's probably not a good way to go into this series. Being that the Spurs have home court, my math tells me Dallas has to win at least one road game. Portland vs Houston. Bill Simmons touts the Blazers as the biggest threat to the Lakers in the West. He might be right, but they have to get through a legitimately tough first-round opponent in the Rockets. Brandon Roy hit a buzzer-beater to avert a season sweep at the hands of Houston, and he'll have to be huge again in this series. Something tells me this is going to end up different than the Brett Favre debacling. 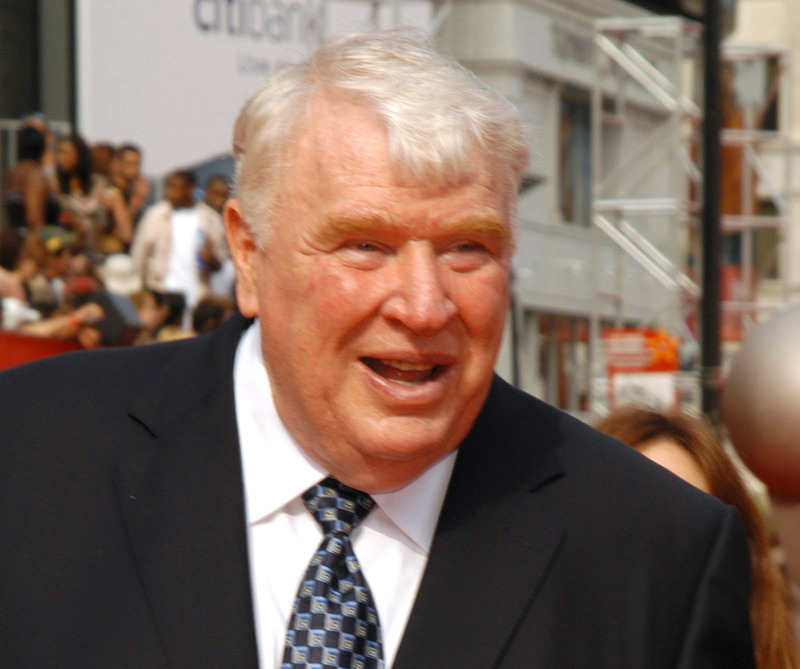 Legendary NFL coach and broadcaster John Madden is hanging up the microphone. Madden is 73, and he has called some of the biggest games in NFL history, including the most recent classic Super Bowl. "It’s been such a great ride… the NFL has been my life for more than 40 years, it has been my passion – it still is. I appreciate all of the people who are and were such an important part of the most enjoyable, most fun anyone could have… that great life with the teams, the players, the coaches, the owners, the League… my broadcasting partners Pat and Al… the production people and the fans …is still great… it’s still fun and that’s what it makes it hard and that’s why it took me a few months to make a decision. "I still love every part of it – the travel, the practices, the game film, the games, seeing old friends and meeting new people… but I know this is the right time." The network is in good position, having used Cris Collinsworth in Madden's spot for one Sunday Night Football broadcast last year, and having brought in Matt Millen for studio analysis during the playoffs. Though I'd much rather have Millen call games and Collinsworth stay in the studio, doing it the other way around would be just fine. As for Madden, it's the end (probably) of a 30-year career in broadcasting. It won't be the same without him. Did he often ramble nonsensically and confuse more than he entertained or informed? Probably. But he was the big-game broadcaster of his generation. Growing up, there was one way of knowing your team was in the game of the week, and that was if you heard Pat Summerall and John Madden calling it. Now, it's harder to tell what the big game of the week is, because no one in the business carries the kind of respect Madden had. Not only that, but he became a cult hero to millions of younger fans thanks to the video game. All in all, it's been a great career for Madden, and he's certainly deserving of his Hall of Fame honors, along with any other accolades that come his way upon this announcement. If your head has been in a cave, you might not know that Wild coach Jacques Lemaire stepped down over the weekend. After the Wild's final game Saturday, Lemaire pulled the Twin Cities beat writers aside and told them of his decision. Monday, he and (hopefully outgoing) general manager Doug Risebrough held a press conference in St. Paul. At the press conference, Lemaire, who has been around the sport for a few years, had some very nice things to say about Minnesota fans. No, Jacques, we thank you. Thanks for helping get this franchise off the ground, and giving the team of 18,000 something to cheer for every night. That said, pat yourselves on the back, team of 18,000. A guy who has won many Stanley Cups and played many years in Montreal just compared you to possibly the most legendary single fanbase (Montreal Canadiens fans) in sports. If that doesn't say enough about Minnesota's status as the State of Hockey, nothing will. Well, who the hell is FIU, anyway? Florida International is a Division I institution in Miami. They're growing, as evidenced by a new facility that went up for the football program. However, the basketball program has been quite stagnant. In fact, they averaged 693 fans per game in a 13-20 season in 2008-2009. Instead of letting the basketball program flounder, the administration reached out to an old friend of athletic director Pete Garcia. Next thing you know, everyone knows who FIU is, because Isiah Thomas is their basketball coach. Zeke is virtually untouchable in the NBA right now. He underachieved in a stint at Indiana's head coach, then embarrassed himself and the league's most marketable franchise with a disastrous stint as head of operations with the New York Knicks. What Thomas will find in the college game is something a bit different than he had in the NBA. Yes, young athletes have egos unlike anything he would have seen when he was a kid. Yes, young athletes are bigger and stronger than most anything he would have seen when he was a kid. However, there's no salary cap. Only scholarship and recruiting restrictions. No matter the media attention his hire got, FIU is not in the college basketball spotlight. And there's no doubt Thomas has a passion for and a knowledge of the game of basketball. While there's no doubt that Thomas has been a lightning rod in his time as a coach or personnel guy in the NBA, my FanHouse colleague Jay Mariotti makes a very good point. This is his last lifeline in the sport. The fact he's willing to take his massive, tainted name to an obscure program suggests he still has a measure of good character and might put it to positive use: coaching young people, teaching them about life and using his own experiences as a how-to -- and how-not-to -- handbook. If the fact that he's willing to work with an obscure program doesn't convince you that he's serious, try this. Thomas' introduction to FIU on Wednesday included the revelation that the former New York Knicks coach and president — who's still owed millions from the NBA team — will donate his salary back to the school for his first season. School officials did not release the exact figure, other than saying it's between $200,000 and $300,000. "I did not come here for the money," Thomas said. It's a good start for Isiah. For FIU, it's officially a low-risk move. They give him perhaps a tad more money than they'd give a hotshot assistant from Gardner-Webb (no offense at all to Gardner-Webb, but I'd expect a school like FIU to hire a good coach from a very small school for their gig). In return, they get notoriety and recognition that they'd never otherwise get. For Thomas, it's a chance to get his reputation heading back in the right direction. He has a long road back to where his image was when he was kissing Magic Johnson, but he has to start somewhere. Please keep Alfonso Soriano in left field all season. He'll surely cost you a handful of games, allowing the Brewers, Cardinals, Astros, Reds, or Pirates to stay closer in the NL Central, even though your team is the most talented. He's pretty terrible. The above photo is the result of him having no clue what happened to Bill Hall's routine popup pretty early in the game. Later, Soriano misplayed a line drive by Rickie Weeks that scored the tying run in the ninth inning. The Brewers won it two batters later. That's one, Lou. You can blame it on Kevin Gregg if you would like. In fact, go ahead and do that. Just leave Soriano alone. On second thought, he's just fine out there. Monday is baseball's Opening Day, and should be a national holiday, but Sunday is the first regular season game of this 2009 journey. While Atlanta plays Philadelphia in ESPN's annual opener, and Milwaukee and San Francisco wait until Tuesday, everyone else opens up on Monday. Last year saw the sudden, unexpected, and awesomely fun rise of the Tampa Bay Rays to prominence. Heading into this season, the big question among fans is whether they can do it again. Well, people also want to know who will shock the baseball world this year. We already addressed that. Now, it's time for bad predictions ahead of Monday's games. For starters, let me take a stab at the six divisions. We'll start in the National League because that's where the Brewers reside, and them's my boys. The Phillies have some injury concerns, as Chase Utley is out until summer, and young stud pitcher Cole Hamels' elbow acted up during the spring. I love Florida's young pitching, but can their defense improve enough for them to contend? The Mets melted down ... again ... last year, losing the Wild Card to the Brewers on the last day of the season. Atlanta has some solid young players, but their pitching is a huge question mark. Washington tried to make a free-agent splash with Mark Teixiera, but "settled" for the big bat of Adam Dunn. As much as I dislike the Cubs, there's no doubt they're the best team in this division. They have the bats and the arms to sail back into October so they can choke in the playoffs again. Milwaukee should be a Wild Card contender if the hitting gets better. They'll need to do that, as the pitching will drop off remarkably. The Cardinals should be more consistent offensively, but the pitching staff is a mishmash. With a tight budget restricting their spending, the Astros will probably suffer, at least a little bit. Outside of the Cubs, I think Cincinnati has the best pitching in the division. They're trying to restructure the offense to include a bit more speed, and they haven't come close to replacing the production they got from Dunn. With a ton of young players and big-time questions surrounding the pitching, it's hard to see Pittsburgh winning more than 70 games. There are some questions about the Dodgers, but they have enough pitching and defense to win a very weak division. If San Francisco had more punch, they'd be a serious threat. No one has better young pitching than the Giants, and the addition of future Hall of Famer Randy Johnson was perfect for this staff. Colorado should be better than last year, and I love the young players they got from Oakland for short-timer Matt Holliday. Like Houston, Arizona really tightened the budget over the winter, and they don't have enough talent to compete. San Diego is in a similar boat. They just lack talent right now. The one great player they have - Jake Peavy - is a short-timer. The Red Sox take the pennant with more balance than anyone else. They have the rotation, the bullpen, and an offense free of Manny distractions. While Brian Cashman spent a lot of money on talent this winter, how much better did he make the Yankees? C.C. Sabathia is plenty fine as the big-time pitcher, but the A.J. Burnett signing reeks of "Our young pitchers aren't ready" desperation. Tampa Bay needs to improve offensively before they'll be able to stick with the big two. Not saying 2008 was an aberration, but the Red Sox and Yankees are just too good offensively. Baltimore will be better, but not nearly good enough. Toronto seems to be sinking into a rebuild. That's sad, considering they weren't all that good to start with. This is the toughest division to pick, but I'll take the Twins, even though they enter the season banged-up. Not many teams have enough pitching depth to overcome an injury to their projected Opening Day starter, but Minnesota is one of them. Can they hit? Well, they'll hit enough. Kansas City is my pick to be baseball's surprise team. They have quality young pitchers lined up behind veteran Gil Meche in the rotation, and these guys can hit. The Indians will be better than last year's disappointment, but a lack of firepower dooms them for a .500ish season. Chicago is too old in some places, and simply not talented enough in others. The Tigers need to get rid of some big-time money they're spending and rebuild around their stable of young pitchers. Even without K-Rod, the Angels are a rock-solid team capable of running away with the West again. Oakland got Holliday from Colorado, brought back Jason Giambi, and signed Orlando Cabrera to jump-start a horrible offense. If this team hits, they'll win games with the pitching Billy Beane has put together. Texas needs to improve defensively, but that won't matter much if their pitchers don't stop getting lit up like Christmas trees. In Seattle, former Brewers scouting ace Jack Zduriencik takes over as general manager. Yes, they brought back Ken Griffey, Jr., but it's likely the Mariners will go the route of building through solid draft picks and a farm system that will rival baseball's best.